Happy Friday! 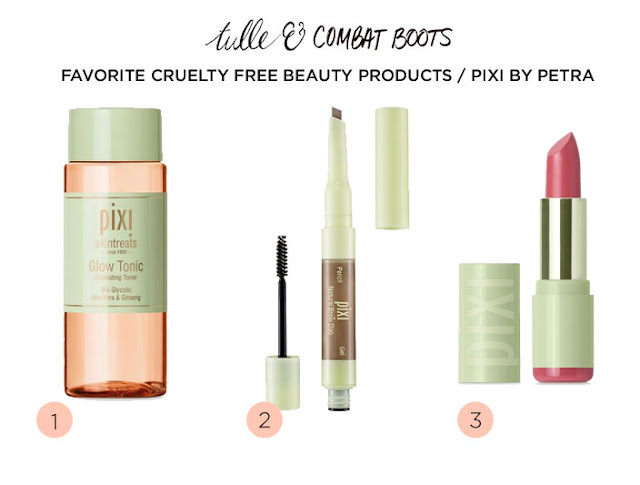 I thought I'd share a few of my favorite products from Pixi by Petra, which is a great affordable cruelty free beauty brand. I've been using this every day and it's definitely improved my skin and pores. This is my go to brow product, and it lasts a really long time—and it is very natural looking. I love love love this lipstick—I have it in three colors: Bitten Rose (pictured), Coral Blossom, and Petal Pink. It's a great texture and stays on for a long time. I also love the branding and packaging for all the products—it's very well done. Have you tried any Pixi by Petra products? What did you think?